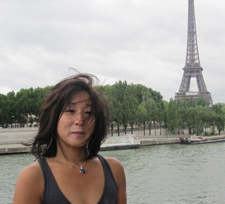 Linda Kazumi Azuma is the organizational and communications heart of the firm, as the practice and office manager at David G. Bayliss Professional Corporation. Our lawyers are often in court but she is always available to field emergency calls or answer any questions our clients have about their case or about the court process in general. You won’t find another criminal law firm anywhere that can provide the sensitive, caring and knowledgeable assistance that she provides to our clients and others who need our help. With several prior careers including stints as a concert pianist, teacher, small business owner, school council treasurer and a busy mum raising four children, Linda is more than just a competent paralegal and office manager. 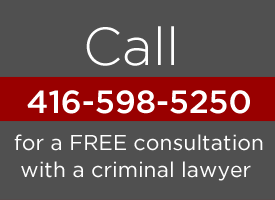 She is knowledgeable about the law and the criminal justice process in Ontario. Her life experience makes her uniquely positioned to provide dedicated and comforting support and practical advice to clients who find themselves immersed in an unfamiliar, intimidating and demanding court system. Linda understands the anxiety and uncertainty associated with criminal charges. She goes out of her way to put in the time to communicate and give information for people going through the legal process. In doing so, Linda has earned a reputation for being exceptionally committed, compassionate and always available to answer your questions.